New resource alert! 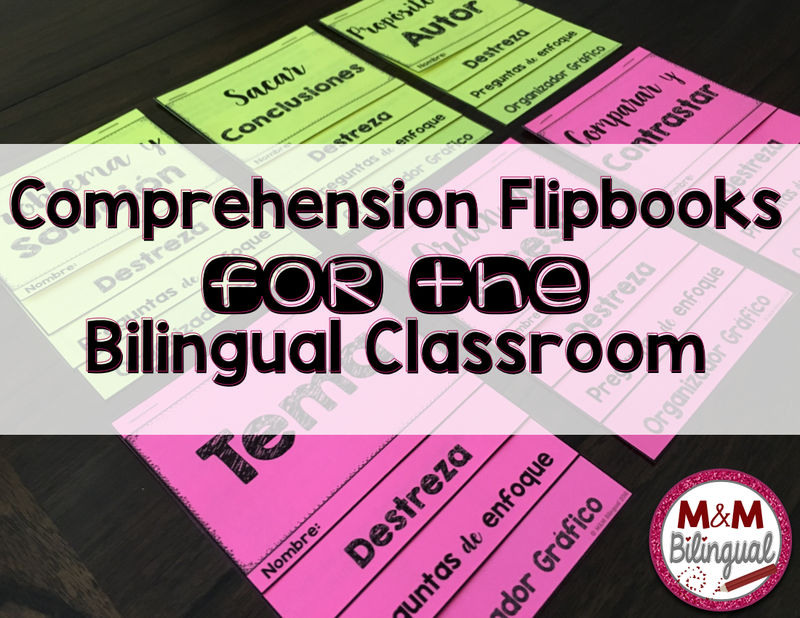 Comprehension Flipbooks in SPANISH! I am so excited to have completed this project just in time for back to school! 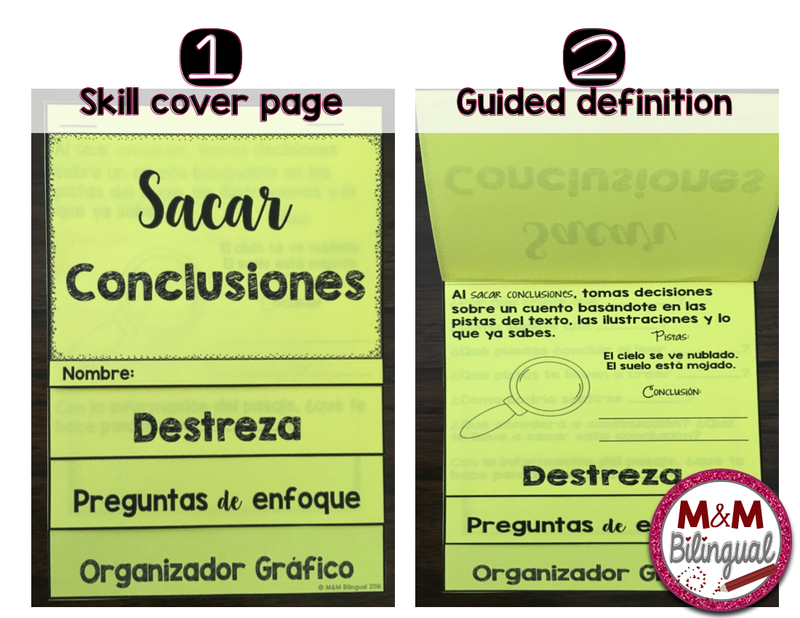 I've been creating these flipbooks with my students since my first year teaching! We'd use different colored paper and have all our skills in a handy flipbook they could refer to during independent reading. We'd just write out everything and draw the graphic organizers, stem questions, etc. Let me tell you, it would take TIME oh precious TIME!!! I finally decided I needed an electronic version to make my life easier. Keep reading, for an explanation of these gems and a FREE sample just for my blog readers! I like to use these to introduce a lesson. We go over the name of the skill, any background knowledge they have about it, have they heard this before, when, what do they think this means? My students LOVE technology, so when I introduce the skill, I'll usually look for a Brain Pop video that explains a bit about it or a YouTube song that will be catchy to help remember the skill we are covering. 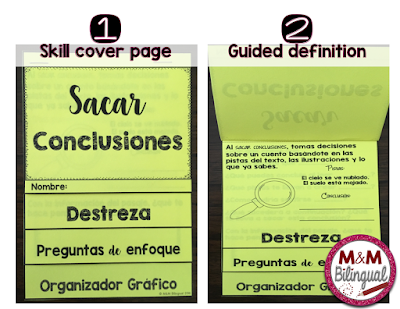 On this page, I provide the definition and an example or exercise for the students to read and/or take notes. This definition anchors the lesson and can be referred to throughout the week we practice that skill. During small groups, we use the stem questions during the reading to practice ways the skill can be assessed. 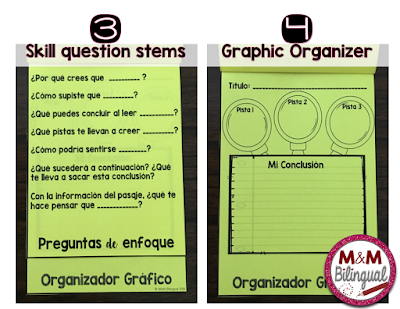 Students can also use these in a center to ask each other questions pertaining to the skill being covered. This is a great way to build and practice academic language since students need the repetition and exposure to the questions. 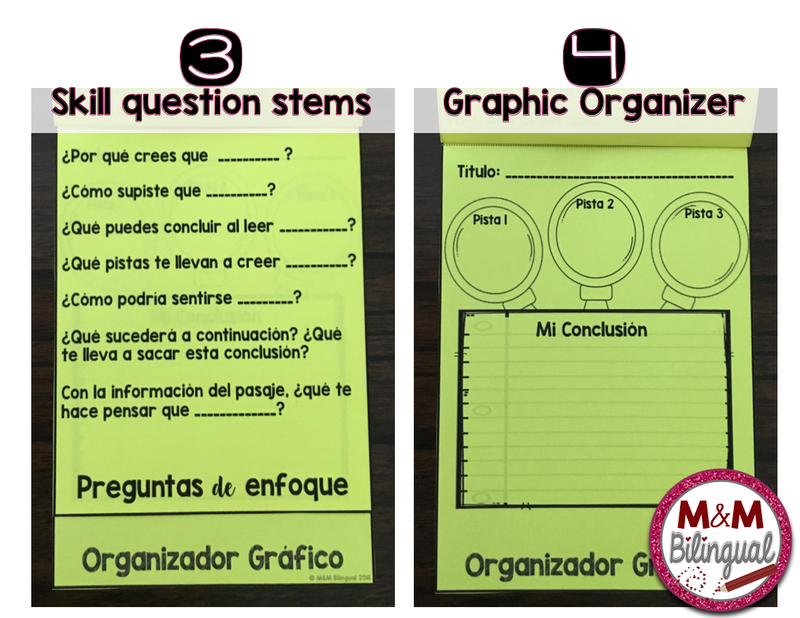 The graphic organizer can be done with a read-aloud you’ve already covered and can be filled out together so that students have an accurate example in their flipbook of how to fill out graphic organizers with this skill. Hope you've made it this far, because you are in for a treat! 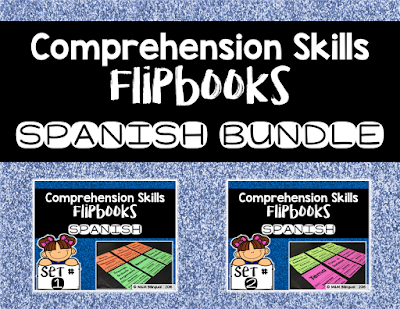 Click on THIS LINK to download a FREE SAMPLE of my flipbooks. Try it out today with your students and come back to let me know what you think! This is an EXCLUSIVE SAMPLE just for my blog readers, enjoy!